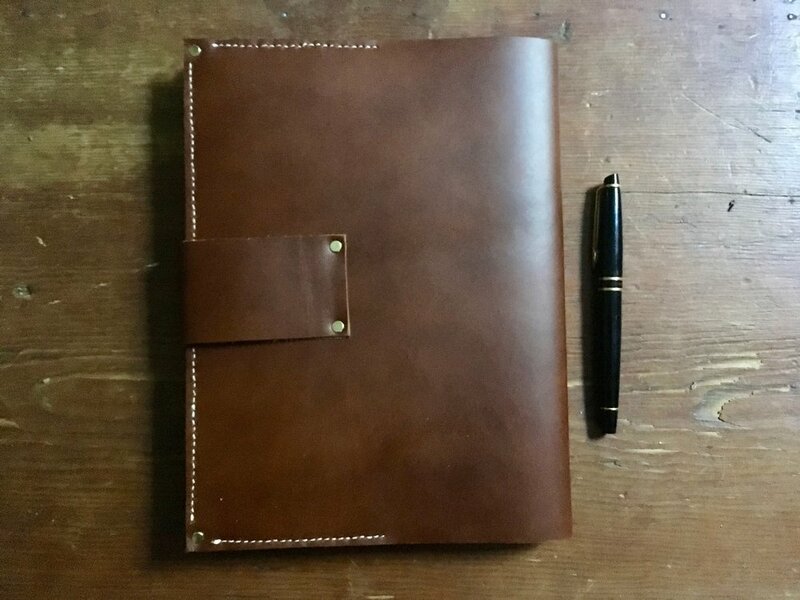 This leather writing pad cover is hand sewn and designed to fit composition note books. I started making these covers for some friends who use these note books at work, but wanted something nicer to show up to meetings with. The covers messure 7.75 x 10.25. There are three card holders on the back cover. To secure the cover there is a belt and brass button closure. You can purchase one of these writing pad covers on my etsy shop.